Why Work at Munson Medical Center? | Careers | Munson Medical Center | Traverse City, Mich.
Home > Careers > Why Work at Munson Medical Center? Why Work at Munson Medical Center? At Munson Medical Center, we have some of the most caring and talented people working in health care today. Each person has their own personal reason for working here. For some it’s the desire to contribute to a healing environment. Others appreciate the fun and friendly coworkers. Many value the competitive benefit package. Melissa is a medical biller and coder with a degree in biology. 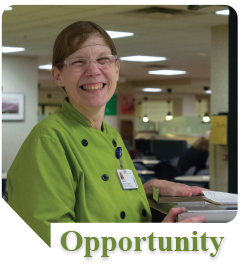 When she wanted a career with a non-profit organization, she turned to Munson Medical Center. 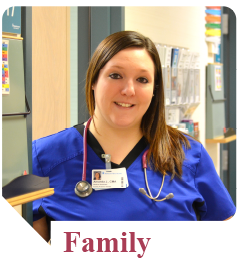 Amanda comes from a family of medical assistants, so she knew exactly what she wanted to do when she graduated from Baker College. 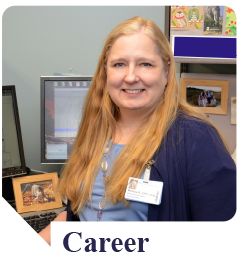 As a certified medical assistant at Munson Family Practice Center, she loves working with infants to elders. After years of poor health, Lisa regained her stamina and strength thanks to the care she received at Munson Medical Center. She joined the Food and Nutrition Team and now delivers nutritious food to patients so they can get stronger, too. 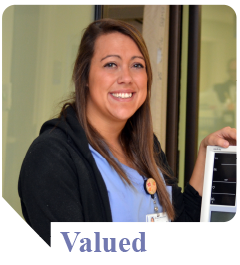 As a nursing assistant at Munson Medical Center, Rachael enjoys helping patients through some of their worst days.